Bonnie Pysher, the chief winemaker at a favorite local winery in the Lehigh Valley, tells how she got into the business and continues to make award-winning wines. One of the things that Bonnie Pysher stressed in her interview with Patch is that she has no background in chemistry. “I didn’t even take chemistry in high school,” she explains. And yet, as the chief winemaker at Franklin Hill Vineyards in Lower Mount Bethel Township, she is in a field that requires a knowledge of pH levels, acidity and solutions. Her success in the field probably has something to do with 29 years of experience; Pysher began working at Franklin Hill in 1982, the same year the winery opened. In the winery’s early days, Pivinski and Pysher did all of the vineyard work, but Pysher paid close attention to the mechanical aspects of the winemaking process. 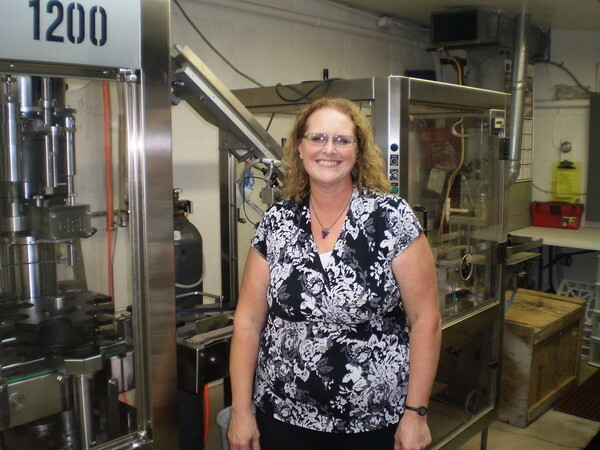 Eventually the two women settled into new roles: Pivinski got into the marketing side of the business, while Pysher stayed in the winemaking part. Pivinski kept the winery and the two continued the endeavor. It ended up being a good choice: the first year together, they entered the Pennsylvania Wine Competition and won two bronze medals and one gold. Another of Pysher’s duties is coming up with new flavors. She experiments based on what’s popular. A specialty at Franklin Hill is Bliss, a blueberry wine that is actually blue, which was Pysher’s idea. And for those who aren’t big fans of wine, Pysher has a few suggestions. Pysher admits that she has a pretty awesome job. Although it hasn’t always been easy, she’s learned along the way and continues to turn out award-winning wines. “When we first started in 1982, we were one of 15 Pennsylvania wineries. Now we’re one of about 140 Pennsylvania wineries… and I think there are only four female winemakers in the state. We’re in a man’s world,” Pysher said. But they’re doing just fine. If Lower Mount Bethel is a bit of a hike, stop by The Grape Spot, a place to buy Franklin Hill's wines and wine-related products, in Lower Nazareth Township. Peter Oldak, owner of Jewell Towne Vineyards, president of the New Hampshire Winery Association, tests some of the wine produced at his winery in South Hampton. Jewell Towne was New Hampshire’s first commercial winery, opening for business in 1994. Today there are about 30. WHEN YOU THINK of wine country, New Hampshire probably isn’t the first place that comes to mind. But like the vines of the hybrid grapes developed to withstand the state’s cooler climate, New Hampshire’s wine industry has flourished over the past decade. Some 30 vineyards have cropped up since Jewell Towne Vineyards owner Peter Oldak decided to go from amateur to commercial. Oldak, president of the New Hampshire Winery Association, planted his first grapes in 1982 and began making wine at his South Hampton vineyard in 1985. His passion for wine-making led Oldak to turn his winery into a commercial business in 1994. It was the only winery in the state at the time, but the idea that wine could be produced and sold in a state known more for apple orchards than vineyards caught on. “Along the way we started to show that grapes could be grown in New Hampshire and quality wine could be made. As it was shown, more people started planting grapes and developed wineries,” Oldak said. Flag Hill Winery and Distillery followed by opening its doors in Lee two years later. Many more wineries opened between 2000 and 2008, often with guidance from Oldak, who is seen as a leader in the state’s wine industry. 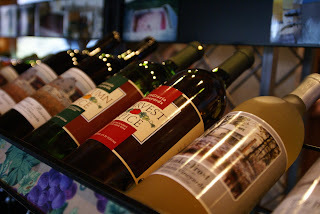 Today, wine connoisseurs can find locally produced wine just about anywhere in the state, from Sweet Baby Vineyard in Kensington in the south to The Vineyard at Seven Birches in North Haverhill overlooking the Connecticut River Valley. “A lot of people interested in starting wineries have come to me. We’ve been working together in trying to develop the industry. We don’t look at each other as competition. What we do see as the real competition is California, South America and Europe. A bottle bought from us is one less imported from a foreign land,” Oldak said. Jewell Towne Vineyards produced 7,000 cases of wine last year and is now sold in more than 150 restaurants and stores, mostly in New Hampshire but some in Massachusetts. Zorvino Vineyards in Sandown has also seen success. The winery produced 800 cases when it opened seven years ago and is now up to 6,000. “We opened at a time when the wine industry in New Hampshire was just starting to get rolling,” said Tom Zack, Zorvino’s wine director. In addition to grape wines, Zorvino has also entered the fruit wine market, using local pears, blueberries, apples, and other fruit. It even produced its first pineapple wine just before Christmas. “We sell as much fruit wine as grape wine,” Zack said. While it has 1,200 grape vines on its 80 acres, Zorvino also imports grapes from California and South America, allowing it to continue making wine beyond the fall season. One advantage that Zorvino has over other smaller wineries is a function room that’s often rented out for weddings. The room is another way to introduce its local wine to consumers. With more people looking to buy local and interest in wine-making growing, Oldak said he thinks the industry will continue to expand. “We’re seeing a lot of people in corporate America who want to get out of that rat race and want to use the land they have and this allows them to be an (integral) part of it,” he said. “A winery seems to be the solution that comes to mind. Shoreham Winery Debuts in Vermont! SHOREHAM — In the burgeoning homegrown Vermont wine market Shoreham Winery is the newest player. But the business, which acquired its commercial winery license last year and debuted at this fall’s Tour de Farms bike event, has been percolating for seven years now, ever since owner Greg Borah planted his first vines. “You plant the grapes and then you realize, ‘In three years’ time, I’m going to have a harvest. I’d better know what to do with it,’” Borah said. At first, Borah was making wine in specialized five-gallon containers known as carboys, reading every book he could and seeking advice from Chris Granstrom of Lincoln Peak Vineyard, whom he counts as his winemaking mentor. Starting out, Borah’s strategy was to follow directions exactly and hope for the best. Like any skill, though, he picked it up little by little. “A couple of years ago, I found I didn’t need the books, I just had the intuition,” he said. Borah came to the field of winemaking from the desire to do something involving agriculture, and he said the grapes, which require constant vigilance during the growing season, give him the anchor he was looking for. And he said his appreciation for wine has grown along with his understanding of winemaking, as has an understanding of its limitations. There’s only so much you can do with a batch of wine, he said, before you have to let the grapes do the work. “It’s a Vermont wine, so you can’t make it be a French wine,” he said. 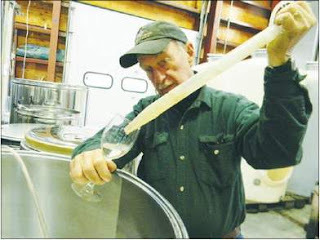 After five years refining his technique, Borah filed for a commercial winery license in time to offer the 2010 batch to the public. He said he’s making about 600 gallons of wine each year, which works out to 3,000 bottles — a very small winery, on the scale of things, but just enough for Borah, his wife Pat and their three grown children to handle. This year, the winery is offering four types of 2010 wine — two reds, a rosé and a white — as well as an ice cider made with apples from Cornwall’s Sunrise Orchards, in partnership with orchard owner Barney Hodges. That works well for now, since Borah isn’t planning on giving up his day job as a general contractor anytime soon. Borah credits his family and Granstrom for all their help in getting the small winery off the ground, but there are others, too: To him, it’s truly a group endeavor. Seven years ago, Walter Phelps of Orwell agreed to let Borah plant grapevines on his land, where they’ve thrived ever since. More recently Borah began using space at Vermont Refrigerated Storage, owned by Barney Hodges and Gregory O’Brien. The Shoreham Winery’s new home hosts a space where Borah processes the grapes and ages the wine, as well as a tasting area flanked by wooden cases of 2010 wine. Borah held open hours in the tasting room during the holiday season, but he said it won’t be open on a regular basis during the rest of the year. For now, those who want a drink from the Shoreham Winery can find his wine at Buxton’s Store in Orwell, Greg’s Meat Market in Middlebury, and the Middlebury Natural Foods Co-op. Or, he said, he’s available at 897-7126. Reporter Andrea Suozzo is at andrea@addisonindependent.com. 2011 was supposed to be a year of celebration for John and Jennifer Kimmich. Fall would mark eight years since the couple opened the Alchemist Pub and Brewery in downtown Waterbury, Vermont. The Alchemist was housed in a 160-year-old building on Waterbury's Main Street. They transformed the space from a florist shop into a brewpub. Jon brewed his creative, award-winning beers in the basement, and then served them upstairs in the pub. We're not just talking six or seven brews. The website lists more than four dozen beers the Kimmichs have concocted over the last eight years. The Alchemist was an instant hit. "Through the years you learn just how much you mean to everyone in the community," John said. The Alchemist also meant a lot to people outside Waterbury. The inventive beers were earning John and the Alchemist attention in the craft beer industry. 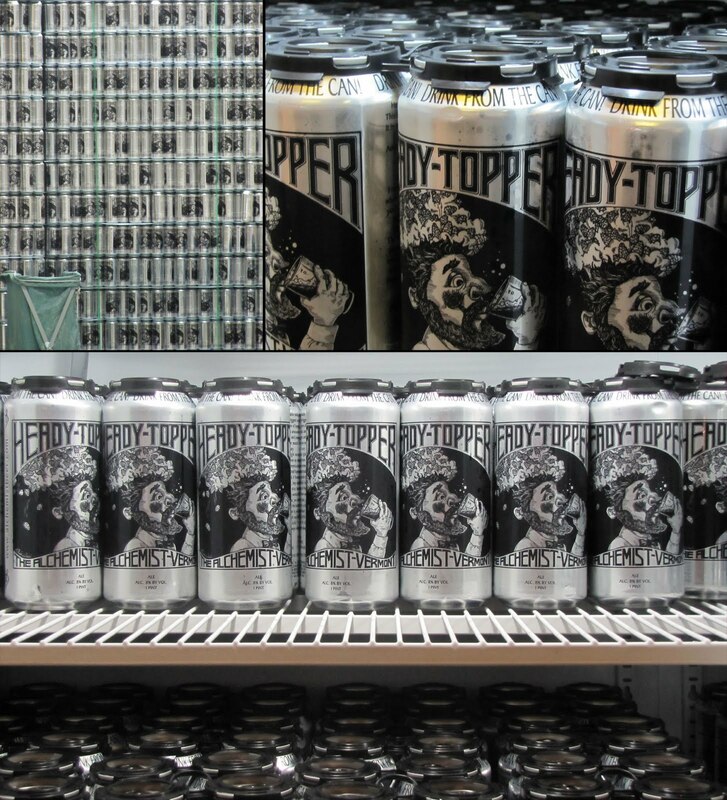 Beer enthusiasts were making Waterbury a destination so they could try John's beer firsthand. But August 28, 2011, Hurricane Irene lashed parts of the Northeast and New England with relentless rain and high winds. Waterbury, and the Alchemist Pub and Brewery, were in its soggy path. "It was raining all day Sunday. We had closed the pub just in case," John said. "It was a reasonably steady rain all day long. I started thinking maybe it would head east and we wouldn't get hit." But by 8 o'clock that night, the heavy rain was too much. John heard that the neighborhood right behind the Alchemist was being evacuated. John went against the advice of his wife, and drove downtown to check on the brewpub. "As soon as I came around the corner, there it was. The water was in the back of the building. The neighborhood behind us was already under five feet of water." What he found inside the building broke his heart. Even though the main restaurant and pub area were still dry, water filled the entire basement stairwell. "I opened the door and the water was all the way up," John said. The basement was the Alchemist's nerve center. The brewing equipment was in the basement. The ingredients were stored in the basement. The tanks holding John's special brews were in the basement. The office and all the paperwork was down there, too. John closed the basement door, turned away, and walked to the bar. "I poured the last 'Holy Cow IPA' anyone would ever have," John said. "I didn't know at the time it was the last one." As he stood there, he started to feel thudding below his feet. He knew it was the sound of 1400-pound brewing tanks, full of his beer, bobbing in the floodwater below, and hitting the basement ceiling. "I drank that beer extremely quickly, and went out," John recalled. Five minutes later, the water was knee-deep inside the Alchemist. Peter Chang is hitting the road again, and he’s taking Virginia wine with him. The famously peripatetic chef, said to serve some of the best Chinese food in the country, will prepare a banquet to celebrate the start of the Year of the Dragon on Monday at the James Beard House in Manhattan. A Beard House dinner before the glitterati of the New York food scene is an important milestone for chefs seeking national prominence. Chang’s appearance has been so highly anticipated that the Jan. 30 dinner sold out two weeks in advance; it falls during the two weeks that lead up to the Lantern Festival of the Chinese New Year. Also on the marquee: Andy Reagan, winemaker at Jefferson Vineyards, who will tackle the challenging task of pairing wines with Chang’s spicy Sichuan cuisine. Why Virginia wines? “Because we are from Virginia, and they make good wines here,” says Gen Lee, Chang’s business partner at Peter Chang’s China Grill in Charlottesville and a new restaurant, Peter Chang Cafe, set to open next month in downtown Richmond. Lee says he chose Jefferson because of its history. Parts of the winery’s vineyards near Monticello are on the same site where Thomas Jefferson planted European grape varieties. But the choice also sends a message that the famously migratory Chang is, at last, planning to settle down and call Virginia home. (San Francisco Chronicle) Local wines shined — or at least won shiny medals — at this year’s San Francisco Chronicle Wine Competition, the largest annual contest featuring wines from around the United States. Barboursville Vineyards took Best in Class for its 2008 cabernet franc reserve ($24), while Virginia wineries collected 22 medals in all. Maryland claimed three. Barboursville also earned silver medals for its 2007 Octagon red blend ($41) and its 2010 viognier reserve ($24). Winemaker Luca Paschina was understandably excited about the Best in Class recognition for his cab franc, which many people consider Virginia’s best red grape. “Once more, a Virginia wine has reached world class recognition [on] its own merit, in a blind setting, and it is a great time for all people involved in our industry to be proud, celebrate and yet not [be] surprised of the achievement,” he wrote in an e-mail. Other wineries were celebrating, too. Barrel Oak Winery, in Fauquier County, collected five medals, including a Double Gold (meaning all the judges rating it gave the wine a gold-medal score) for its 2010 chardonnay reserve in the $25-$30 category. The winery also collected medals for its 2009 cabernet franc, 2009 petit verdot, 2010 chardonnay and 2010 viognier. Barren Ridge Vineyards, Doukenie Winery, Gray Ghost Vineyards, Keswick Vineyards, Philip Carter Winery and Rappahannock Cellars also collected medals in San Francisco. From Maryland, Boordy Vineyards collected a silver medal for its 2010 chardonnay reserve from Long Green Vineyard, part of the winery’s ambitious replanting effort, as well as a bronze medal for its 2007 Veritas, a port-style wine. Slack Wines and Vineyards also won a bronze for its White Shoals sparkling wine,. Sixty-five judges from around the country evaluated 5,500 entries in this year’s competition. Isaaks of Salem turn the fruit and honey of New England into local wine and mead. Ian Bennett started the winery in October 2009 and received a Federal and State permit in May and June of 2010 respectively. Ian created three wines for the first year of production, and distributed to many stores in and around Boston, MA, which where I found a bottle. The tastingroom is located in Salem, MA with their winery premises in Beverly. They have a small garage bay near the train station in downtown Beverly where they create their wine. So one night in early January the owners of Brookview Station, Sue and Ed Miller stopped by, and Ddominique and I put out a nice piece of Old Chatham Camembert and a jar of black currant jam. 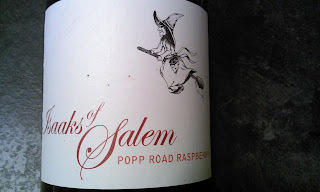 Their dry Popp Road Raspberry wine is something very special. They located Popp Farm in Dresden Maine that still farms the old way. No pesticides, no fertilizers, just open pasture fields and a saltwater estuary abutting the raspberry patch. The first sip of this wine explodes with raspberries. The taste is distinctly New England raspberry. Despite the huge frontal assault of the raspberry, the wine is not sweet. It is a dry raspberry cider flavor. But it's a dry wine. And they approach fruit wine the way the Burgundians approach Pinot Noir. Single vineyard or farm appellations. Careful fermentations. Lots of organic fruits. The wine is 100% Gluten Free! They only made 73 cases. According to the notes: 00Fermentation Process: Fermented for 4 weeks, then crash cooled to 37 degree's for 5 weeks and racked added raspberries on October 10th 2010, steeped for 3 weeks and removed raspberries on November 3rd 2010. This is not a cheap wine, but I assure you this is well worth it. This is extremely well packaged, and that package exudes quality. I bought the wine, and I was not disappointed, and neither were my guests. We all toasted each other several times, toasting the new year and the delicious taste of the wine! I would serve this wine to anyone! 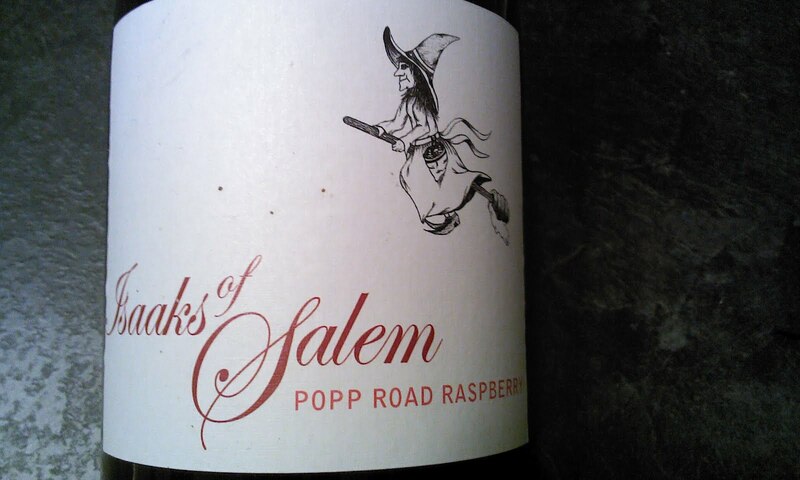 A really remarkable wine, and a signpost for quality fruit wine in New England. This is a winery to be on the lookout for! 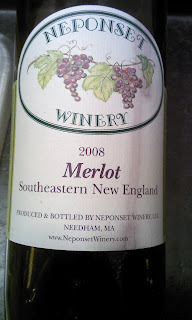 I first wrote about Neposnset in 2008 when I tasted their wines at a Wineries Unlimited event. So I was thrilled when I recently found a bottle of Neponset Winery Merlot 2008 Southeastern New England. I am a fan of their Chardonnays and their Pinot Gris. But I finally had one of their red wines. The Merlot. Thirty years ago John Commando was introduced to the art of producing wine. Neponset Winery is the fruition of a dream to start a small winery. With the help and encouragement of his wife, John began his "virtual" winery. 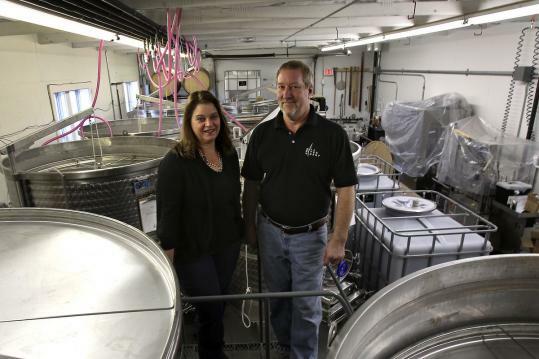 Neponset Winery is dedicated to making fine wines in small batches. They purchase juice and grapes from top growers in Massachusetts and California. Dominique served this with a home made pasta dish. Pasta with peas, onions, extra virgin olive oil, salt and pepper with grated Parmesan. The wine was up to the task. It had wonderful plum and dark fruit flavors, with decent acidity and solid tannins. There was nice structure and balance to the wine. It was a lovely surprise. A nice wine made from local New England fruit. This was a lovely, dry, dark red wine. It stood up very well, and showed beautifully. Congrats to John and the Neponset Winery folks. Wonderful wine. I like Finger Lakes wines, especially Riesling and Gewurztraminer. But there are other examples to be sure from throughout the east coast of good versions of those varietals. Virginia has proven it can grow those grapes well. 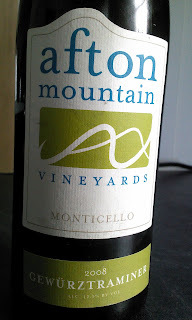 Afton Mountain Vineyards is one of Virginia's pioneer farm wineries, with the oldest of their vines dating back to the 1970s. They make Chardonnay, Cabernet Franc and Cabernet Sauvignon, of course, but they also make wines found at few other Virginia wineries, such as Gewürztraminer and Sangiovese. 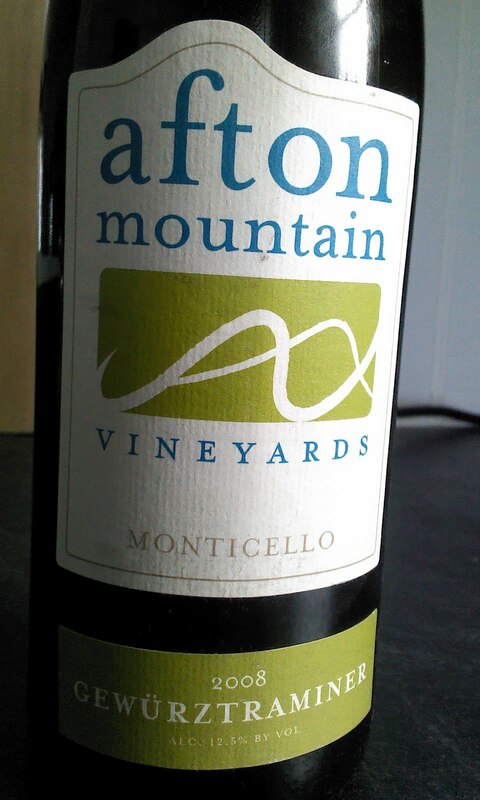 Elizabeth and Tony Smith own Afton Mountain Vineyards. They both grew up in nearby Albemarle County and were married on June 4, 1983. Elizabeth and Tony moved to the Tidewater region of Virginia, where they both worked and raised their two children, Hunter and Tess. The Smiths have thoroughly enjoyed their return to the Charlottesville area and are having fun in their venture. Hunter, the Smiths’ son, has been the Marketing Manager for Afton Mountain Vineyards since the summer of 2009. Hunter has a B.S. in Business Marketing. Hunter and his wife, Danielle, moved from Suffolk, VA to join the family business in 2009. Danielle graduated from Old Dominion University and works in downtown Charlottesville. Danielle also helps with events and in the tasting house. Hunter and Danielle had a baby girl, Ava, in October of 2011. So Dominique and I shared this bottle of wine with a friend of ours. We had it fairly well chilled, which is how I like whites. I know most experts would tell you it kills some of the flavors when you do that, but I like my whites cold. Anyway, this wine has a great nose, with lots of floral aromas and tropical fruits frothing out of the glass. Bright tropical fruit up front. Refreshing and delicious. A hint of perceived sweetness, but it's a dry wine. This was an exceptional wine. Wonderful. As good as any Gewurztraminer out there. It can hold it's own. Congratulations to the Smiths and everyone at Afton Mountain! HUDSON VALLEY IS NO. 2! It should be a given that any visitor to New York City breaks for a day or two ‘upstate’ in the Hudson River Valley, a slice of rural Americana just north. It’s a real city break, with leafy drives, wineries and plenty of farm-to-table foodie options that draw even spoiled-for-choice Manhattanites away from the city. TRENTON — Wineries from New Jersey to California can now sell their vintages directly to consumers and retailers under a bill pushed by Democrats in the Legislature and signed today by Gov. Chris Christie. "New Jersey’s wines are now considered among some of the best in the nation, but rules and regulations had suffocated the industry for far too long," Senate President Stephen Sweeney (D-Gloucester) said in a statement. "That will all now change." The winery bill was the most embattled of the 214th Legislature's final session last week, with Sweeney working late into the night behind closed doors to round up the votes needed for the measure to pass. In the flurry of last-minute business as the legislative session ticked to a close Monday, the Assembly and the Senate voted to change the law governing wine sales. The bill, which now goes to Gov. Chris Christie for his consideration, would allow wineries around the state to take orders online and send their wines directly to consumers and retailers. It follows a previous legislative attempt that sputtered when a federal court ruled that denying direct-sales opportunities to out-of-state wineries was unconstitutional. This bill remedies that, leveling the playing field as it opens New Jersey for exports and imports. It also allows N.J. wineries producing less than 250,000 gallons a year to open more retail outlets or “tasting rooms” and sell directly to consumers or pair up with restaurants to sell bottles to diners. All of this could add up to a very good year with continued growth of N.J. agriculture; the wineries’ increasing contribution to the economy; and a wider selection for Garden State wine aficionados. New Jersey has evolved into one of the top wine-producing states in the country. Dozens of Garden State wines are recognized with awards and honors as the reputation for quality has grown more robust year after year. Unfortunately, consumers have not had full access to those choices unless they scouted out wine festivals or traveled far afield for a favored Riesling or a particular Sangiovese. The internet has revolutionized the way we shop for almost every commodity; it makes no sense to exclude wine sales from that convenience. Indeed, 38 other states see it that way. Meanwhile, arguments against the bill have not improved with age. They still center on the worry that teens will manipulate the direct shipping option to obtain wine illegally. Any delivery, however, will involve extended time, shipping fees and the signature of an adult over 21. Opponents have also said it will strike a financial blow to wine distributors. That argument fails to recognize that direct sales account for only 1 percent of wine purchases nationwide. Shopping online allows consumers to find special wines that aren’t available in the local shop. While it poses no threat to liquor stores, it will enhance an industry that’s keeping many farmers in business. We urge the governor to sign the measure into law. Its time has come. Christopher Boyd, of ﻿Boyd's Cardinal Hollow Winery in Montgomery County, on Tuesday featured several wines at the show including a non-grape variety made from 100 percent jalapenos. "It won't burn your eyes or your lips but it is warm," Boyd writes on the winery's website. "The aroma is just like the pepper and then once you sip it, it fills your mouth with the jalapeno flavor and warmth. As you swallow, you will feel the warmth all the way down." Saturday is the last day for this year's Pennsylvania Farm Show in Harrisburg, which is experiencing record attendance and heavier than usual traffic volume. The show draws more than 400,000 visitors from around the world and is the largest indoor agricultural exposition in the U.S. - with nearly 6,000 animals, 10,000 competitive exhibits and 290 commercial exhibits. From butter sculptures to fried zucchini or a tortilla crusted tilapia sandwich, the food this year at the 2012 Pennsylvania Farm Show seemed to be a hit. For wineries in particular, the event featured a variety of wines from across the state to compliment just about any Farm Show fare. Boyd said the Farm Show offers a great marketing opportunity. The show is free. Parking costs $10. This was Boyd's second year to bring his wine to the Farm Show, he said. He has locations in North Wales, Warminster, Skippack and Coopersburg. "It's excellent," he said while serving samples of his wine to folks waiting in line. "There's lots of traffic. It's nonstop." RISING SUN, Md. -- Authorities said four people were injured when the new roof collapsed on a building at the Dove Valley Winery in Cecil County. Maryland State Police told The Cecil Whig that four people were taken to Christiana Hospital in Delaware after the collapse in Rising Sun on Thursday. Two victims had injuries that were non-life-threatening, and the others were taken to the hospital as a precaution. Foreman Richard McDonald said the workers were checking trusses in the 69-foot by 112-foot structure when he heard a loud crack and the roof collapsed, sending the workers falling about 20 feet. McDonald said three of the workers were able to get out on their own and the fourth was helped out. County building inspectors and Maryland Occupational Safety and Health Administration are investigating. A MORE UNIFIED INDUSTRY Big states like California and New York, with multiple regions tend to Balkanize. Napa and Sonoma rule California, diminishing other regions, and they like it that way. The Finger Lakes and Long Island dominate the smaller regions in that state. But in Virginia, at least to the outside world, Virginia represents a unified front. 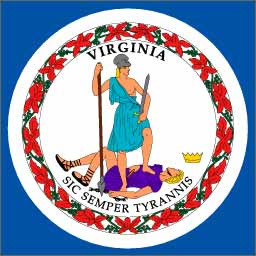 Yes the north has expanded quickly, and yes, the older wineries around Charlottesville are well established, but the Virginia Wine Board does a great job of spreading the ball around evenly (like they say in football or basketball) just enough to keep all their stars happy. THE STATE HOUSE SUPPORTS THE WINERIES In 2012 just as they did in 2011, Virginia will outspend New York, it's biggest rival on the eastcoast, by almost $3 to $1, or even more. The Governor supports the wine industry, and the First Lady has made it her mission to promote Virginia wine. Neither Gov. Coumo nor Ms. Lee has publicly supported New York wine in any way - by dollars or publicity. And the folks in the statehouses of New Jersey and Pennsylvania haven't stepped up either. The department of agriculture has been a good working partner for the wineries helping to promote the wines and tourism as well as agribussness. Virginia's state goverment gets it! DAVE McINTYRE AND THE WASHINGTON POST Dave McIntyre is one of five or six most influential newspaper wine columnists in the country. He is a man who knows his Burgundies from his Bordeauxs, his Cambernet Sauvignons from his Chardonnays. And the Washington Post is one of the most influential newspapers in the nation. McIntyre is a tough critic, but he also a fan - a fan of good wine, and a fan of local wine. He has helped promote Virginia wine like no other of those remaining newspaper writers. It's a huge boost for Virginia wine. BLOGGERS Virginia has a solid cadre of very active wine bloggers all of whom are writing about their favorite wines consistently. Each have favorite wines and regions, but not a week goes by that five to six bloggers aren't extolling the virtues of Virginia's fruit of the vine. That's a lot of hits on the internet. And to cap it off, even the New York Cork Report, the grand salami of New York wine blogs, is hosting it's next bloggers' conference in the state of Washington and Jefferson! ANNETTE BOYD If The Virginia Wine Board is the Green Bay Packers of east coast wine right now, Annette Boyd is their Aaron Rodgers. She is young, smart, funny, charming and hard working. She has a smart phone surgically attached to her right hand, and is as comfortable with winemakers as she is with politicos as she is with the press. She is as likely to make a blogger feel like a press baron as make a politician feel like the president. And at all times she remains a real and down to earth person. But what's more, she gets the elctronic age of wine promotion better than any other wine promoter out there. In an age where print is in decline, Boyd has hosted several bloggers camps, and gets the Facebook and Tweet world like no other wine promoter in the US right now. She is miles ahead of most other states this way, even California. BOOKS, MAGAZINES, NEWSPAPERS There are a flock of books out on Virginia wine already. Todd Klineman's book THE WILD VINE (the Norton grape), as well as a slew of books by Walker Elliott Rowe on Virginia wine history. Now, another by Richard Leahy (soon to be published by Sterling Epicure - my imprint, full disclosure) will be coming out in May. There are a plethora of regional newspapers and magazines that are all featuring Virginia wine, like few other states. Without exception, Virginia's newspapers and magazines are much more inclined to promote the local wines than those of New York, New Jersey, or Pennsylvania. MOMENTUM Like in anything else, there is a tipping point. The media frenzy will begin in May and slide all the way through the rest of the year. Savuer Editor-in-Chief James Oseland said on the Today Show on NBC on New Year's Day weekend, that local wines other than the big three or four would get more fucus and become more popoular in 2012. Virginia is going to be a huge benefactor of that trend. They will be the New Kid in Town for 2012, and they will score the hottest dance card. MORE BIG NAMES John Kent Cooke and Donald Trump own wineries in Virginia. Think they they'll grab a few headlines? They are also a sign of the kinds of cash and intensity that is pouring into the region. That creates competition and quality. GREAT WINE Let's not forget another thing...they make great wine. They are making fantastic red blends, rich, dark and deep; fantastic and aromatic Viogniers; and they have a wonderful and colorful grape in Norton. Also, they are bringing in lots of outside winemakers, especially from Europe, with a solid old world background. The flying winemakers are landing in Virginia much more often days than New York or anywhere else. Congratulations to Virginia. Great stuff. Great excitement. Great wine! For the first time ever, Wine Enthusiast magazine coordinated tasting of some of the best wines of the Hudson Valley. The wines scored high on the magazine’s 100-point scale, and proved that the Hudson Valley is emerging region with wines that can compete in the international wine market. The Hudson Valley is one of the oldest producing wine regions in the United States, and New York State is the third overall producer of wine in the U.S. But with the influx of new money, talent, and drive over the last five years, the region is growing at a fast pace, and producing a number of highly rated bright, flavorful whites, and soft, approachable reds. Wine Enthusiast editors tasted more than 20 Hudson Valley wines that earned scores of 85-89 points consistently across seven producers. This is the first major tasting of the region by any major news outlet, and helps to establish the region as a producer of fine quality wines. The Chardonnays, Pinot Noirs, Cabernet Francs, and Baco Noirs all scored very well, and highlight a region which produces wines that showcase great food wines that are forward fruit, and feature bright acids, medium-to-low tannins, and long finishes in a more European tradition. Hudson Valley wines can be found all across the state, and are featured in numerous stores and restaurants throughout the city. The Hudson Valley is America’s oldest wine making and grape-growing region. Less than an hour and a half from New York City, Hudson Valley wineries and wine trails offer hospitable winery tasting rooms, where consumers can often meet the owners in-person and taste award-winning wines made from classic European varieties, regional hybrids and even delicious fruit wines. The Hudson Valley features more than 40 wineries and three trails: The Dutchess Wine Trail, The Hudson-Berkshire Beverage Trail, and the Shawangunk Trail. New York, New York- The New York Wine & Grape Foundation, the official association representing the state's wineries, will launch a campaign entitled New York Drinks New York during the first quarter of 2012. Centered on New York City, the campaign is a multi-faceted program for wine trade, media, and consumers, intended to set the stage for a long-term effort to raise awareness about the quality of New York wines. The program of activities will include "cellar visits" by New York City media and trade representatives to the Hudson River Region, the Finger Lakes, and Long Island; a multi-day market visit to New York City by the 38 participating wineries (see list of wineries below); in-store tastings at city retailers; an advertising campaign; and a dedicated website, www.nydrinksny.com, going live February 1. "We're not urging New Yorkers to buy New York wines because they're local, but because they're high-quality products at reasonable prices" said Jim Trezise, President of the New York Wine & Grape Foundation. "But the added benefit of buying really good, affordable New York wine is that these consumers are also supporting their own state economy." 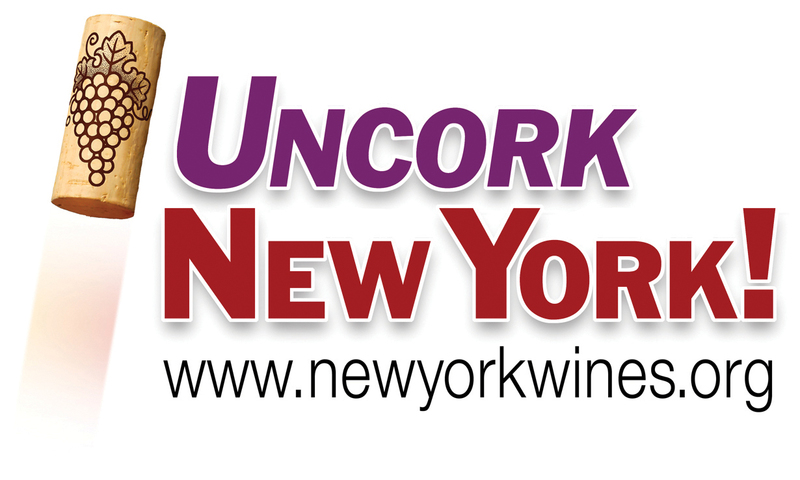 The New York Wine & Grape Foundation will also introduce a new logo specifically designed for its New York City initiative. The New York Wine & Grape Foundation was created in 1985 by unanimous vote of the New York State legislature, and signed into law by former Governor Mario M. Cuomo, to support development of the New York grape and wine industry through programs of promotion and research. Since then, the number of wineries has increased from about 60 to over 300, tourist visits from 340,000 to over 5,000,000, and the total economic benefits to the State of New York now exceeds $3.7 billion annually. For more information on New York wines and the New York Wine & Grape Foundation, please visit www.newyorkwines.org. Finger Lakes participants include Anthony Road Winery, Atwater Estate Vineyards, Chateau LaFayette Reneau, Dr. Konstantin Frank Vinifera Wine Cellars, Eagle Crest Vineyards, Fox Run Vineyards, Glenora Wine Cellars, Heron Hill Winery, Hosmer Winery, Inspire Moore Winery, King Ferry Winery, Knapp Vineyards & Winery, Lakewood Vineyards, Lamoreaux Landing Wine Cellars, Pleasant Valley Wine Company/Great Western Winery, Red Newt Cellars, Sheldrake Point Winery, Standing Stone Vineyards, Swedish Hill Winery, Thirsty Owl Wine Company, and Wagner Vineyards. When I was a college student and just in the few years after my graduation, one of the first wineries I visited (among those in Connecticut and New Jersey) was Digrazia Vineyards. As a young wine drinker, despite the finer wines my family drank (Nebbiolos, Bordeauxs and Burgundies) I did enjoy the lighter and brighter whites of some of the east coast wineries. And I liked semi-sweet whites. Once of my favorites was Autumn Spice, a pumpkin wine, which I later recommended in the mid-2000's. It made for a great Thanksgiving Wine. 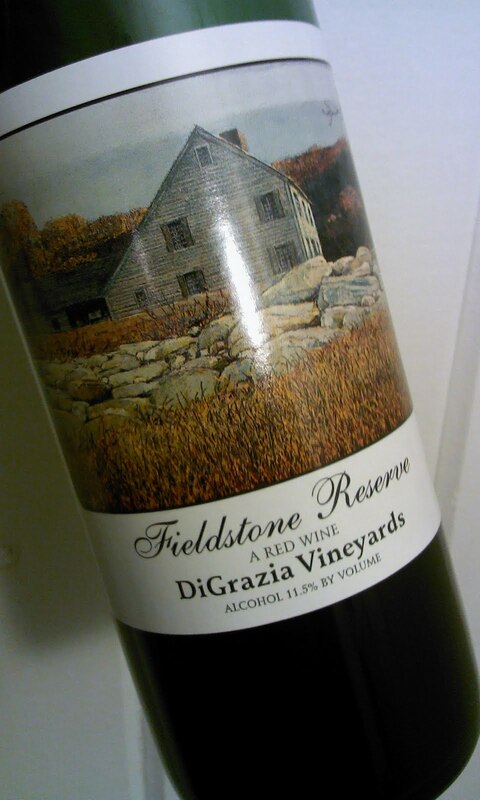 Back in the 1980s there were few wineries, and Dr. Digrazia was one of the pioneers of east coast winemaking, certainly in New England, let alone Connecticut. 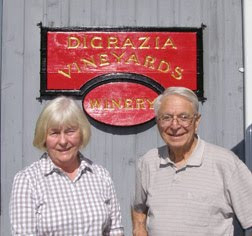 DiGrazia Vineyards was founded in 1978 and is dedicated to producing premium wines of quality and unique variety. Over 15 wines are offered, ranging from dry to sweet, using estate grown grapes, local fruit and honey. Their two vineyard sites are established on high sloping hills to maximize growing potential and grapes grown lead to crisp, flavorful wines. Nine varieties of premium hybrid and native American wine grapes are planted. Dr. Digrazia, founder and winemaker, is widely known for his clean, crisp style of winemaking and his innovative flair. He has been intensively involved in the production of high antioxidant wines. A wide range of table and dessert wines are offered at DiGrazia Vineyards including whites, blushes, reds, nouveau, spiced pumpkin, red and white port, and other unique wines. They are also available in Connecticut Package stores and by mail. This was the first time I was tasting a Digrazia wine in a long time. I just haven't been able to get there, and I was never in a shop that carried their wine. But recently I found some as a wine store. And I was thrilled. It was like old times. Fieldstone Red is a hybrid blend featuring Marchael Foch. The wine is aged in American oak. This is a nice, dark garnet colored red dry wine. Nice fruit up front. Big cherry nose, with hints of cassis. The wine was a very nice, medium-bodied, soft tannin red. Fabulous with food. Very nice. Relatively new to the local wine industry, Matt Cimino has certainly established himself as a prominent winemaker in Maryland. 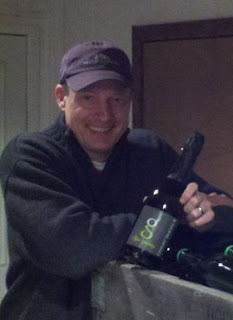 He started building Great Shoals Winery in 2009 and released the first product in March of 2010. Since then, his unique sparkling wine has been soaring in popularity. The name of the winery was chosen for both sentimental and practical reasons. Great Shoals is a body of water at the mouth of the Wicomico River and there is a lighthouse that marks the entrance. 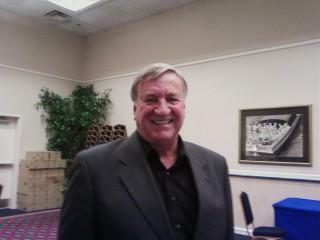 When Cimino was a young man he did a lot of sailing on the Chesapeake Bay with his father. 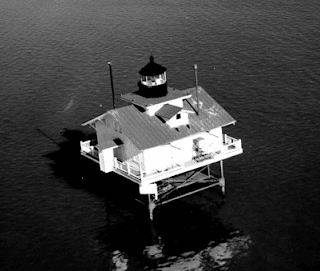 “Upon returning home I would see the lighthouse and it was a sign that I was back near the home harbor,” he said. The body of water also characterizes Chesapeake living to Cimino, which made it an appropriate choice for his winery’s name. “I’ve always had a keen interest in the wine industry,” said Cimino, whose interest in wine led him on travels to the wine-growing regions of the west coast and Europe in his 20s and 30s. Actually, he was so interested that he decided to make quite the career change. Cimino uses apples, pears, peaches, grapes and local pomegranates to produce both champagne- and cider-style wines. Why only sparkling wines? “I felt like that was an area of the wine industry in Maryland that wasn’t very well represented,” said Cimino. He explains that a few wineries make sparkling wine but they are hard to find and not enough are in distribution. “It was easier to differentiate myself from other wineries by not making still wine,” he stated. 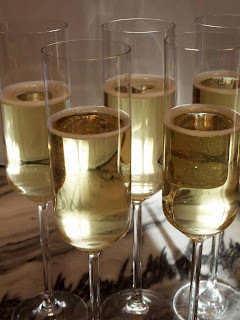 For 2012, Cimino is hoping to produce about 1,500 cases of sparkling wine. Last year 550 cases were produced but Great Shoals sold out of both their hard apple cider and pomme grenade. “We’re trying not to let that happen again this year,” said Cimino. Cimino enjoys the Great Shoals Apple Sparkling wine the most and is optimistic about the 2011 Spencerville Red Hard Apple. The delicious sparkling wines will now be distributed in Washington D.C., Virginia, and Delaware. “We’re happy with the success from our first year and we’re looking forward to growing more in 2012,” expressed Cimino. If the Assembly votes to allow direct shipment of wine to New Jersey customers, two greater goods will be accomplished: The measure will help the states budding vineyards and it will drastically expand the choices available to wine buyers. Heres what it wont do: It wont give teens one-click access to free-flowing booze and it wont put 60,000 people out of work. The Senate passed the bill on Dec. 15; the Assembly must vote by Jan. 9. If passed, the new law will allow wineries that produce less than 250,000 gallons a year to sell wine straight from their vineyards or storefronts. It also would allow any winery to ship its product directly to New Jersey customers  currently forbidden (though out-of-state wine is delivered regularly within our borders). The bill originally was written to fix state law that allowed New Jersey wineries to open licensed tasting rooms, where customers taste, then buy. But the law denied the privilege to out-of-state wineries, which sued. Federal courts agreed and ordered New Jersey to treat all wineries equally or risk the licenses of local wineries. 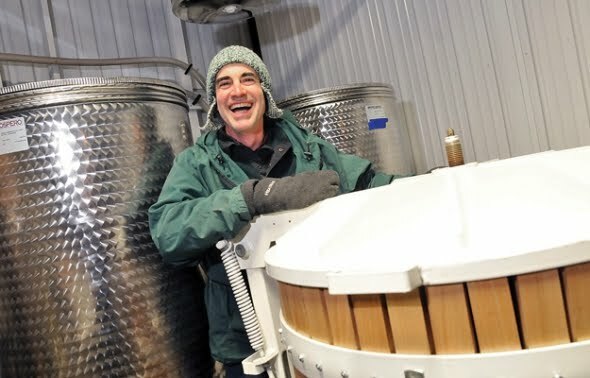 Senate President Stephen Sweeney (D-Gloucester) wrote the current bill to allow all wineries to sell on- and off-site, and added the direct-ship provision. Eager to save their tasting rooms and licenses, New Jersey wineries signed on. On its face, Sweeneys bill looks like good news for both winemakers and wine drinkers. But it has strong opposition, mostly from the middlemen who want to protect their cut of all New Jersey liquor sales. Assemblyman Joseph Cryan (D-Union), whose family has owned a tavern for more than 50 years, has been the loudest opponent of the bill. He claims it puts wine within easy reach of any teen with a computer. He also calls it a job-killer, arguing that anything that cuts the middlemen out of New Jerseys alcohol sales also puts jobs at risk. Both arguments are fear-mongering nonsense. Hurdles for underage drinkers include steep shipping fees, long shipping times and the 21-or-older signature required at delivery. As for jobs, those same shipping fees and delivery times mean online wine buys will be limited to rarer, high-end labels that arent available in stores  no competition for a quick in-and-out at the local wine shop. Nationwide, direct-ship accounts for just 1 percent of all wine sales. Shoppers flock online for books, music, clothes, shoes  typically, when they want a wider selection than one store can offer. New Jersey wineries hope selling online and shipping directly will help them find new customers and create repeat buyers. Thats particularly true for smaller wineries that find it hard to get onto store shelves. New Jersey is no small player in the U.S. market. Our 50 wineries rank No. 6 in production; our wine drinkers rank us No. 5 in consumption. New Jersey wineries  the states most promising farmers  need this law because its good for business. Its already law in 38 states. Direct-shipping expands consumer choice. Moreover, local wineries draw tourism, and the state stands to make millions on license fees and sales taxes. The arguments against? Put a cork in em. 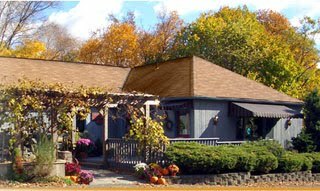 New Jersey Wineries and Silver Decoy Winery need your help! The future of NJ wineries is at risk. We are threatened with the loss of our sales outlets. This includes our tasting room, as well as the storefronts and BYOB restaurants where customers can buy NJ wines. Without these sales outlets, Silver Decoy and every other small winery throughout the state cannot survive. The NJ Senate recently passed Bill S-3172 to preserve our outlets, and to permit shipping of wine from wineries in- and out-of-state to consumers like you. This legislation will save NJ agricultural jobs and allow the state's fastest growing tourism attraction to continue bringing tourism dollars to our state. In addition, the Bill will not hurt the retail sector, as the shipping will only apply to small wineries that produce less than 250,000 gallons per year. To move forward, this Bill must now pass an Assembly vote. We hope the Assembly will vote for Assembly Bill A-4436 on January 9th, but we have met with stiff resistance. We are asking you to please reach out to your Assembly Person (click here for contact info) to ask them to vote Yes on Bill A-4436. Like so many wineries across the state, we have invested countless hours into building our winery into a place that New Jerseyans can take pride in . . . a fun place to spend an afternoon with friends and family, where the beauty and bounty of the Garden State are evident, and where the quality of the wine rivals that of wine regions across the globe. Please make your voice heard, and ensure a future for New Jersey's wineries! An email is great, a phone call is even better!